How does the recruitment and selection process work? the position desired or spontaneously. 2. Prescreening done by the recruiting team. 4. Group assessment or individual interview. 1. Offer Letter to be received. 2. Preparation of the necessary documentation and medical examinations. 4. Your contract and travel to your assigned destination. What documents do I need to have in order to embark? 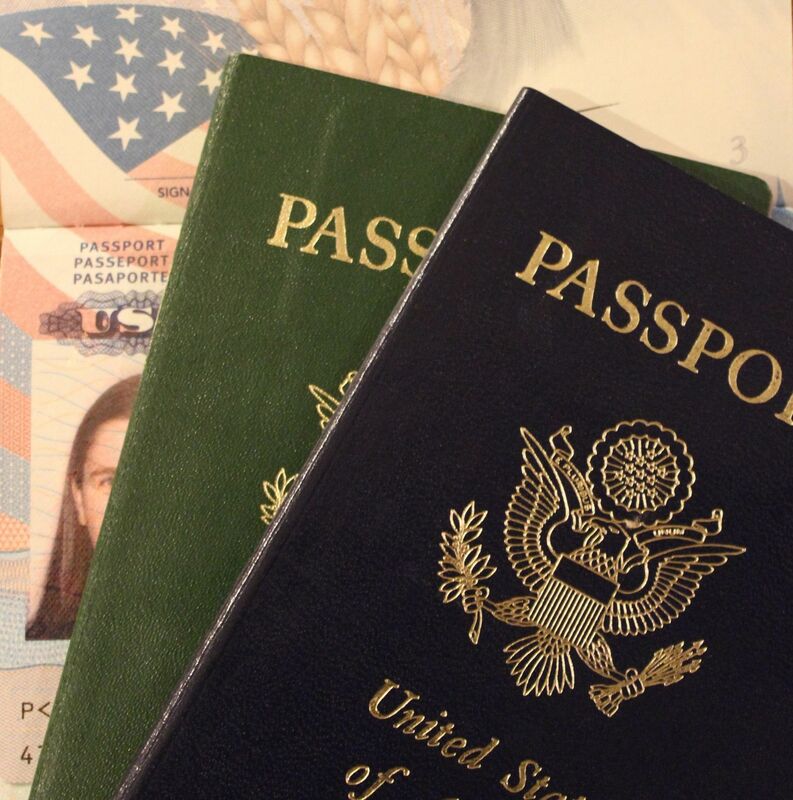 Your passport must be valid for at least another 12 months at the date of embarkation. This form is required for the records in the Company database. The medical examinations and Lab Test required by the Maritime Labour Convention (MLC 2006) will be communicated in case of positive result at the end of the recruiting process. This safety certificate is mandatory for embarkation on any cruise ship. Please check that your chosen training center is officially recognized by the national maritime authorities following the current regulation. The Training center selected for the Basic Safety Training (BST) and for the Security Awareness must be Certified and should be in agreement with the current maritime regulation. Issued after you have successfully completed the associated preembarkation orientation course organized by Costa Cruises. Issued by the relevant authorities. This depends on your country of embarkation (you will be given specific information in due course). Very important: these documents are essential for the purposes of embarkation, and original copies must be presented to the shipboard Crew Office each time you embark. Please ensure that you have them with you before you leave home, and keep them in your hand luggage. Where can I do the Basic Safety Training (BST)? There are accredited training centers that issue this certificate located throughout Europe: you will be given a list with the relevant details. The duration of the course varies from one center to another, but it generally lasts between a week and 10 days. You are reminded that you must have this certificate to work on board any cruise ship, as per IMO (International Maritime Organization) rules and regulations and that participants pay their own fees. What’s the “Here for You Orientation” course? It’s a Company orientation course arranged by Costa Cruises to prepare future crew members to adjust to life on board. It provides information about the Company, the Costa style, the main shipboard procedures, etc. A Costa tutor will assist you during the course, which lasts an extra day for food handlers (who are required to do the dedicated sanitation and HACCP training) or an extra day for positions within the entertainment department (who are required to do the Focus on Children training). There are several tests during the course to verify your progress. A police clearance certificate is a declaration of the absence of any criminal record. Such judicial record extracts are required to prevent individuals who pose a risk to security from joining our Company. They are also requested by visa offices. If you require a visa for embarkation on account of your assigned itinerary, you will be given help and instructions regarding the visa application procedure. When will I receive my employment contract? Once you have been recruited and have gathered all the documents required, you will receive a letter containing a job offer. Subsequently you will be sent a copy of your contract showing the ship you have been assigned to, your period of embarkation and your salary. C.S.C.S. (Cruise Ships Catering & Services International N.V.), which is a Costa Group subsidiary, is in charge of the issue of contracts of embarkation. At the end of each contract, you are entitled to a period of rest generally lasting the equivalent of about 40% of the period you worked on board. So if, let’s say, you’ve just finished a 5 month contract, you will have the right to about 2 months’ holiday. Can a contract be renewed after each embarkation? Sure! We’re looking for people who want to have a career on board our ships and to grow in the profession. After each contract and the subsequent period of rest, you will be called for your next contract provided that your performance in the job has been evaluated favorably. Can I be asked to change ship during a contract? Yes, the Company can ask you to change ship for operational reasons related to the demands of the product or the service. How long is the rest ashore between contracts? What are the rules regarding baggage? We would ask you not to bring bulky suitcases on board. The weight allowance for seafarers traveling by plane is 40 kg (a maximum of two pieces of luggage, neither of which may weigh more than 23 kg). bring your laptop, camera, iPod, mobile phone…but you’ll be responsible for all these valuables and you must declare them when you embark. The Company will make the necessary arrangements and pay for your travel to and from the port (when you embark at the start and disembark at the end of the contract). Costa provides travel all the way from your place of residence (stated in your Application Form) to the ship and vice versa. If you pay any associated expenses (meals, taxi fares…) yourself, you can obtain reimbursement by filling the form available at the crew office with the receipt in original. Who will be my point of reference on board? Who should I report to? When you first embark, you will be met by Security, who will show you to the Crew Office where you will go through the initial embarkation procedure. Your points of reference will be the Manager of your shipboard department and their assistant. During your first month on board, one of your more experienced colleagues will act as your Mentor, introducing you to your new working and social life on board, helping you to settle in and adjust to the new environment. In order to be confirmed in your position onboard you need to be positively evaluated, at the end of your mentoring period, by your Supervisor or Manager. Ask who your Mentor is as soon as you board the ship! The person in charge of the Hotel Department is the Hotel Director, while the Master is in charge of all the Crew members and Guests on board. The position of the “ HR Director” is present on every ship. He/she act as the first point of contact for HR issues and services, ensure that rules are respected, promote staff development, foster a climate of integration and participation and support the welfare of the crew. Will my training continue on board? On board each ship there is the “Learning Officer” who is the Costa Campus representative for all the training activities and programs carried out to develop the skills of our shipboard personnel, the only exception being mandatory safety, environmental and security courses conducted by the Officers concerned (Safety Officer, Environmental Officer and Security Officer). 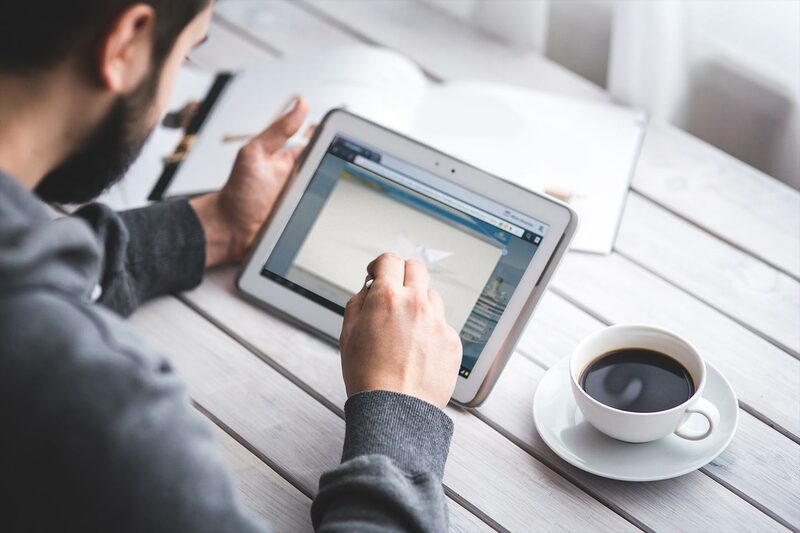 The Learning Officer guarantee the quality and effectiveness of training, in line with the Company’s procedures and objectives, and they also provide support and assistance for people doing the e-learning courses on Costa Cruises’ e-learning platform. All Costa’s shipboard and shoreside employees receive an evaluation of their performance on the job by means of the “Performance Management” system, whereby an evaluation sheet is filled out by your direct superior and approved by the relevant Manager. The first Performance Management assessment takes place within 3 months after embarkation, the second prior to disembarkation. The Performance Management helps managers to assess the behaviors expressed by the employee and traces the path of training and development of all Costa employees, helping to ensure that merit is always rewarded and fairness guaranteed. On board, you work 7 days a week, but you also have rest periods and free time every day. The specific rules regarding working hours are stated in your contract and may vary depending on your position. Broadly speaking, you will be working an average of 11 hours a day, with a minimum of 10 hours of rest every 24 hours and 77 hours of rest every 7 days. The hours of rest may be divided into several periods. postal savings account and varies depending on your position. For almost all positions there is a Hotel Service Incentive or Hotel Performance Bonus* which depends on reaching certain performance or customer satisfaction targets. Can I ask for an advance on my salary? Yes, each month you can request an advance payment on your salary. Can I deposit cash on board? Yes, once you’re on board you’ll be given information on how to do this. What career possibilities do I have? Costa wishes to recruit people who want to grow professionally on board our ships and build careers for themselves in our Company. For this reason career paths have been created in all departments so that, as long as you are motivated and devoted to the job, you can reach management positions in a few years. The Performance Management (evaluation sheet) system allows you to be positioned by your superior in any one of several areas, including “growth in the position”, “building to move” and — if you perform particularly well — recommendation for promotion. One of the Company’s top priorities is the empowerment of its people and the advancement of employees who wish to progress in their careers. Who can I contact on board if I have any other questions? For information about work and/or working hours, ask your direct superior in your department. What about the shoreside offices? In the Human Resources Department in our shoreside offices there is one HR Manager for each shipboard department who is responsible for supervising the crew members concerned during their working lives on board. The Crew Office will provide you with further details. When you arrive on board, the Chief Crew Housekeeping will provide you with the key to your cabin and information regarding your accommodation; you’ll share a cabin with a colleague of the same gender and (usually) from the same department. In most cases two cabins share one bathroom. People working in certain positions will have their own individual cabins. The crew accommodation areas include inside cabins which are not particularly large, but all crew cabins are comfortable and have TVs as well as room for your personal effects and access to bathroom facilities and a shower. Where do I get my uniform? 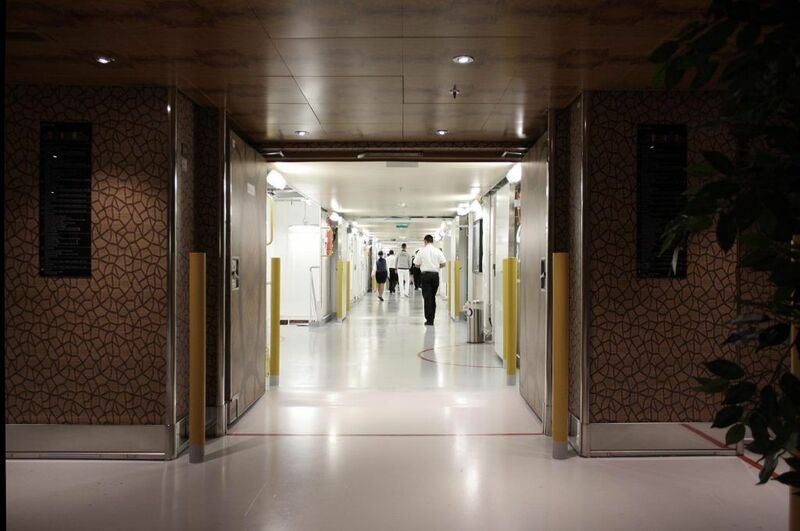 Uniforms are available on board in the storage area, and they should be collected on the day of embarkation. A third of their cost will be charged to you and deducted from your first month’s wages; this allows you to keep your uniforms with you when you disembark. 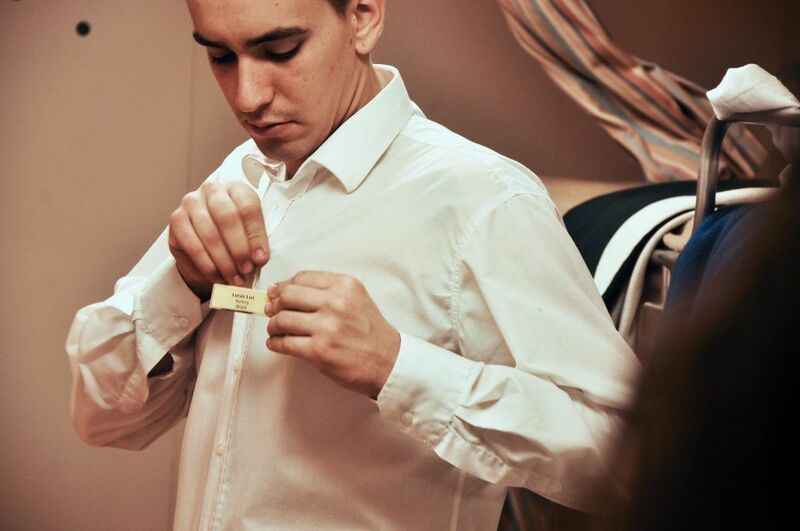 You must always look after your uniform and wear it in accordance with Company rules and regulations, with your name tag and the Costa PIN clearly visible. What about washing uniforms and my own clothes? The laundry service for uniforms is free of charge and you can have your own clothes washed at a reduced price. In any case there are washing machines for use in the crew area. 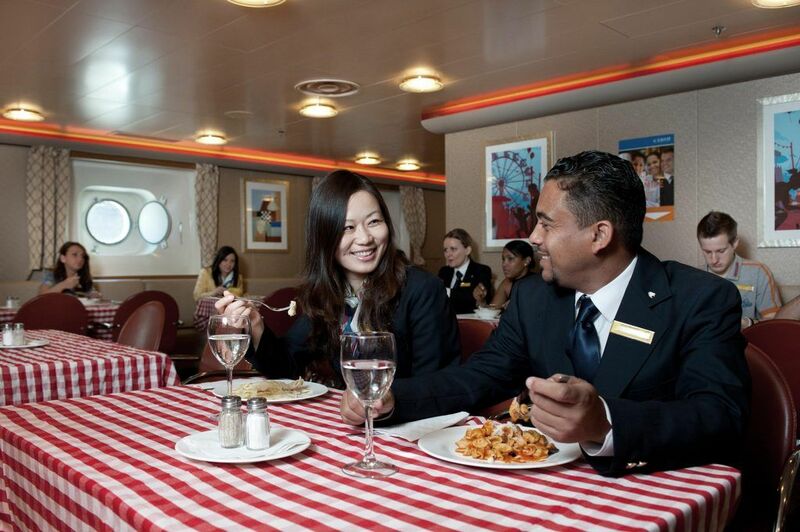 What food is served on board? The self service buffet meals served (with water and fruit juice) in the Crew/Staff/Officers’ mess are free of charge. We always offer a range of dishes catering to different international tastes. What expenses will I incur on board? You will be charged for extra drinks consumed in the mess or the crew bar, though at reduced prices. Purchases in the shops on board and the Internet connection are also discounted for crew members. Cash is not used on board; your crew pass works like a credit card. When you reach your credit limit, you’ll need to go to the Crew Office and make a cash deposit. Is there an Internet connection on board for the crew? Yes, you can buy a special card for Internet access for the crew. There are also often wireless access points in the different ports of call and Internet points in the passenger terminals. How can I phone home? On board you can buy special phone cards at the Crew Office, which you can use to call home from the comfort of your own cabin. How can my family contact me for any reason? of the Family & Friends or ask for a “Family Passage” (after 4 months of contract) to invite your family on board for a period with a special discount, subject to cabin availability and Company approval. Lastly, if members of your family are in or near one of the ports when your ship calls there, they can come on board during the stopover provided you submit a request for a day pass. During port calls you can go ashore and visit our many splendid destinations, provided that you’re not on duty at the time and in accordance with the In-Port Manning procedure. On board there’s a dedicated sunbathing area and a crew gym, as well as an Internet point and crew bar. At the welfare office on board you can borrow DVDs or books and receive mail. What should I do if I get sick on board? If you’re not feeling well, you can go to the ship’s infirmary where the nurse or doctor will prescribe any medicines or, if necessary, make an appointment for an examination at a shoreside health care facility. This service is provided free of charge. Consulting hours for crew members are posted outside the infirmary. In the event of illness, you may be suspended from service for up to 5 days. If the problem persists and requires more specific treatment, the ship’s doctor may decide to request your repatriation for health reasons. Of course you’ll be allowed back on board as soon as you recover. What rules do I have to follow? On board it is vital to follow some basic rules for your own safety and welfare: upon arrival you will be given a document setting out the main shipboard rules and regulations. be back on board at least an hour before scheduled departure. embarked and crew cabins are also inspected from time to time.